Because the Piper Flex is made in Glasgow, Scotland, it can take up to 8 weeks for delivery. US Customers should order one size bigger than they normally do. For example, if you usually wear a 46 Reg, make sure you order a 48 reg. 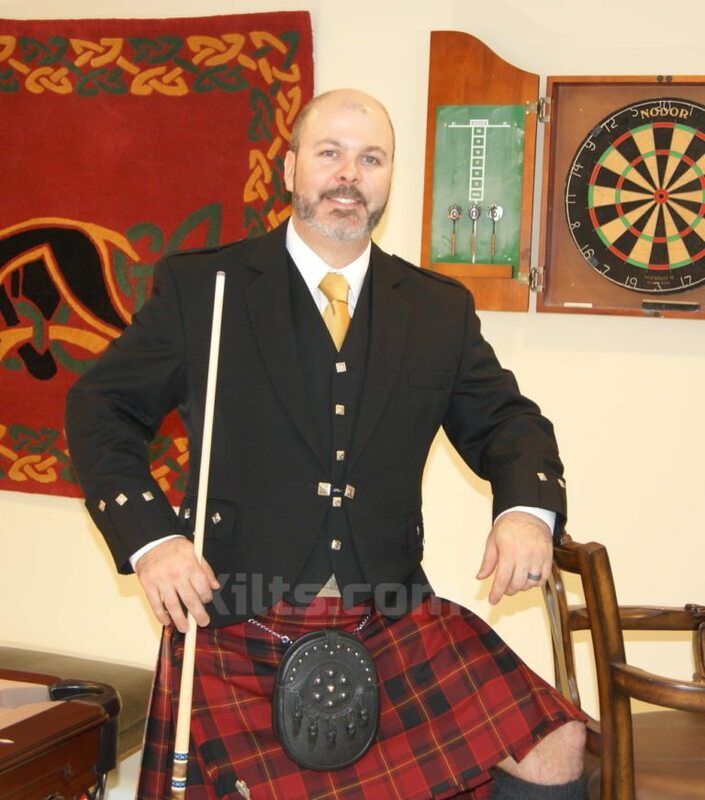 Make sure you read our kilt measuring guide here prior to ordering. 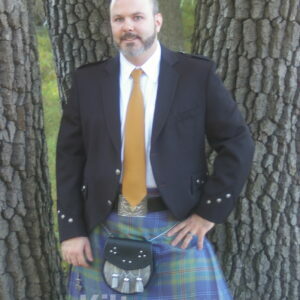 Our Piper Flex Jacket is a unique Kilt Jacket that is similar to a standard Argyll jacket, but designed for a bagpipe player who requires added comfort. 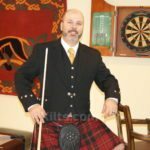 The Bagpiper Kilt Jacket makes use of a wool and lycra blend, which allows stretch but also remains a high quality looking kilt jacket. You will find that this jacket makes use of a two button & chain configuration. This is in comparison to a Standard Argyll jacket which only has a one button closure. When you begin playing the bagpipes, the chain of the Piper Flex Jacket provides some “give” to the front. The Argyll Jacket would be held shut which is not ideal. 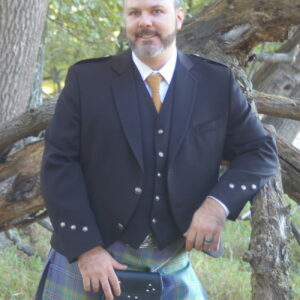 Another feature of this Piper Kilt Jacket is the arm holes. At the base of the arm hole, you will notice it is sewn a little more tightly to the armpit. This ensures you can raise your arm with ease without pushing up the shoulder of the jacket. To add further flexibility, the back of the Piper Flex jacket can increase by up to one inch to allow easier movement when you arms are in front of you. 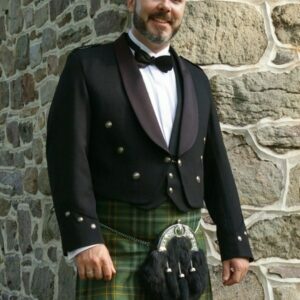 Overall, this bagpiper kilt jacket will make playing the bagpipes a lot more comfortable – yet retaining the class and style of the Argyll jacket.